Hey! Let's Name That New 'Planet' : The Two-Way Planet Nine, as scientists are calling it, deserves a better name if it becomes reality. Should it be Plutoo? Or Plutwo? Yeah, we know you can do better, so come brainstorm with us. The imagined view from "planet nine" back toward the sun. Astronomers think the huge, distant planet is likely gaseous, similar to Uranus and Neptune. Today we got news that scientists have evidence that points to a super-Earth way out beyond Neptune. If telescopes can verify its existence, it would become a brand new planet in our solar system. 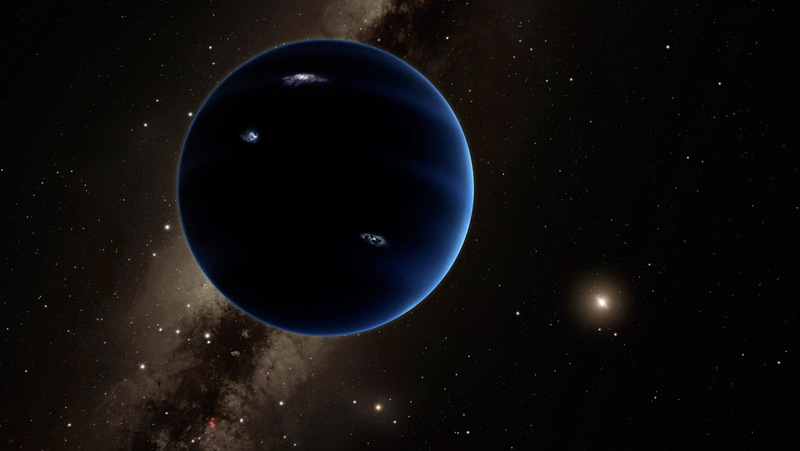 Scientists are, for now, referring to it as Planet Nine. We know we're getting ahead of ourselves, but we think it deserves a better name. Should it be Plutoo? Or Plutwo? Yeah, we know you can do better. Gives us some suggestions — along with an explanation if it's super cerebral — in the comments. We'll pick the top five and put them up for a vote tomorrow.